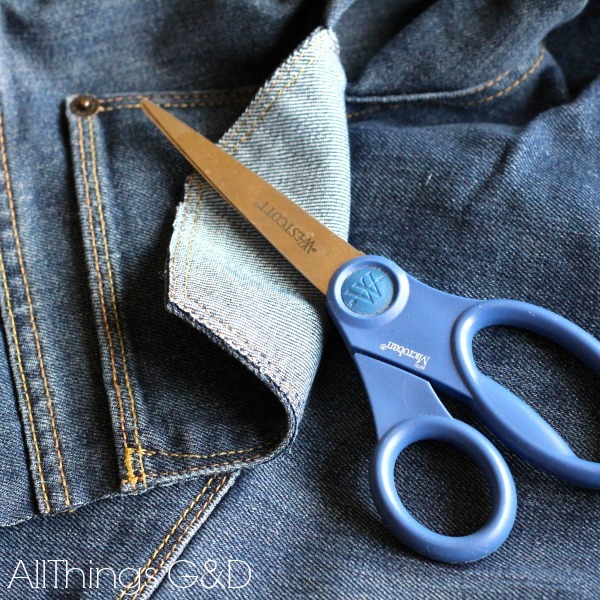 After cutting up some old jeans for my denim USA banner, I knew I had to make something out of the best part of the pants – the pockets! 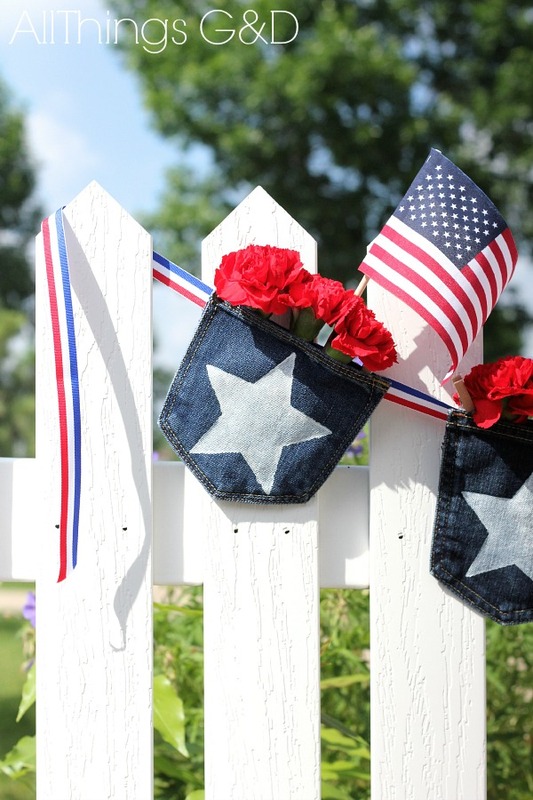 This decorative bunting made from blue jean pockets is an easy way to show a little patriotic pride at your Fourth of July party or upcoming backyard BBQ! Look at those pockets – just begging to be turned into bunting. 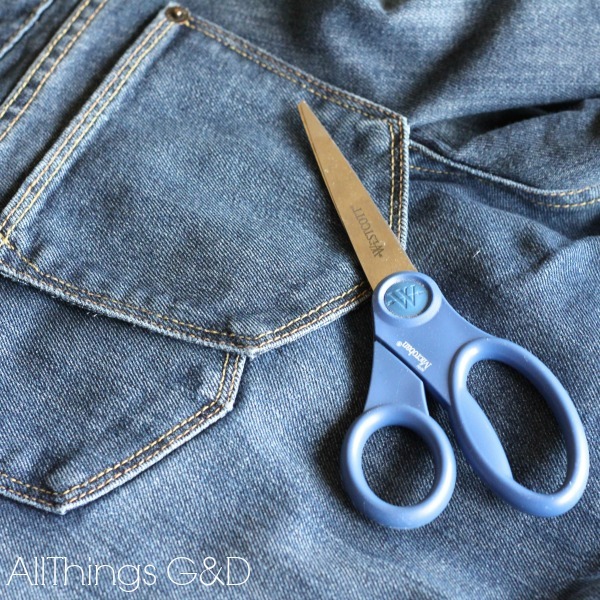 To start, simply cut out the pockets from a pair of old jeans, making sure to cut both the pocket AND the denim layer underneath. 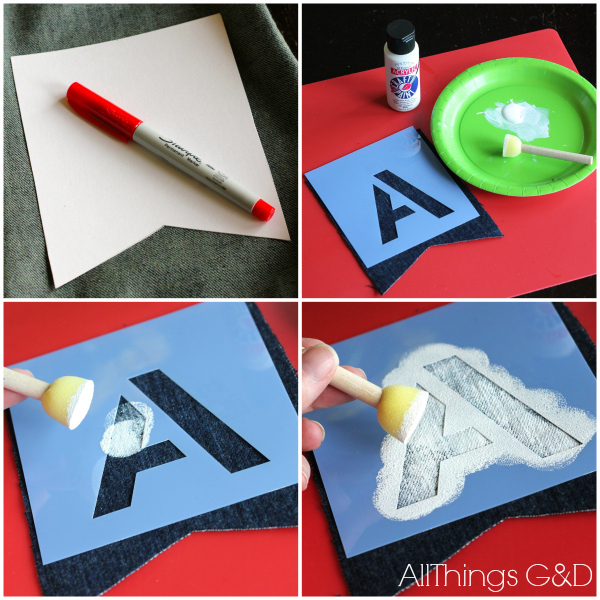 This will leave you with a pocket-shaped bunting piece that is actually a pocket you can use. Be sure to cut through BOTH layers of fabric to ensure your pocket bunting is actually a pocket. Use the same simple technique I shared in my Patriotic Painted Denim Bunting post to paint a star on each of your pockets. 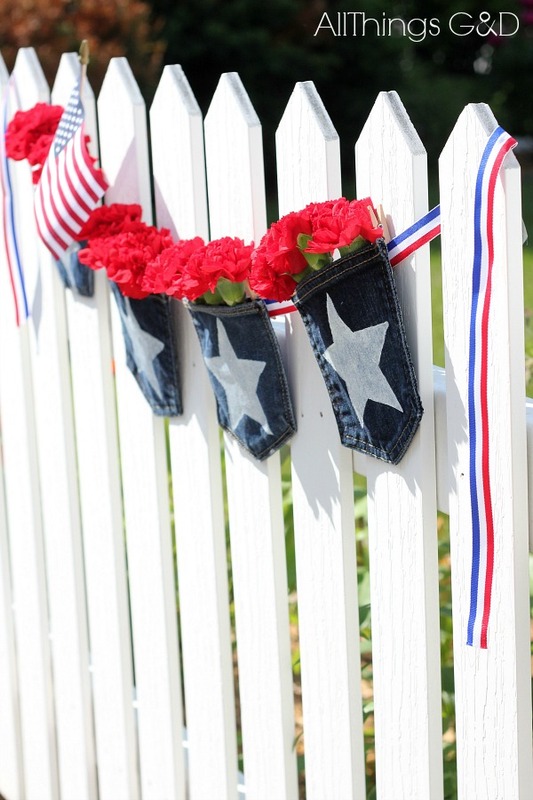 One of the things I love about this bunting is that no sewing is required – just cut, paint, and clip! 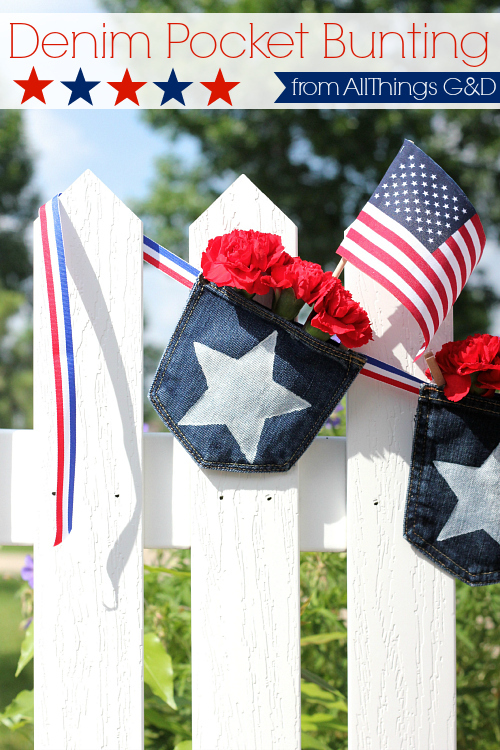 Another thing that makes me wave my flag is that you can fill these cute little pockets with whatever you’d like! I opted for flowers and a flag, but you don’t have to stop there. 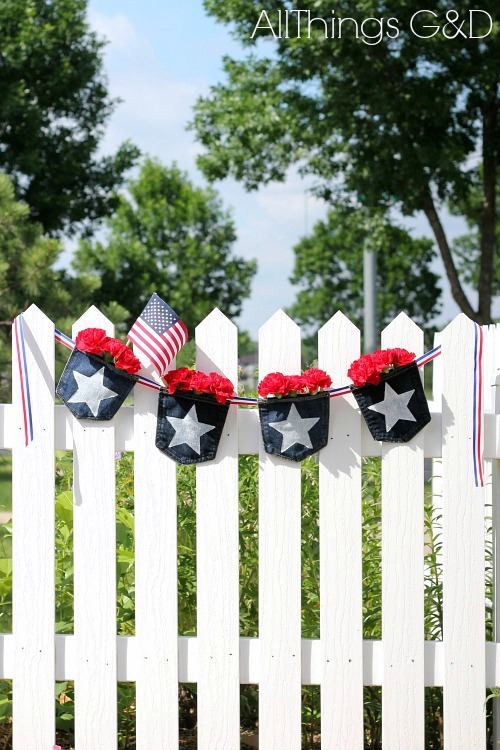 You can fill them with patriotic pinwheels, sunscreen and bug spray, treats for the kiddos, or even silverware and condiments for your backyard BBQ! 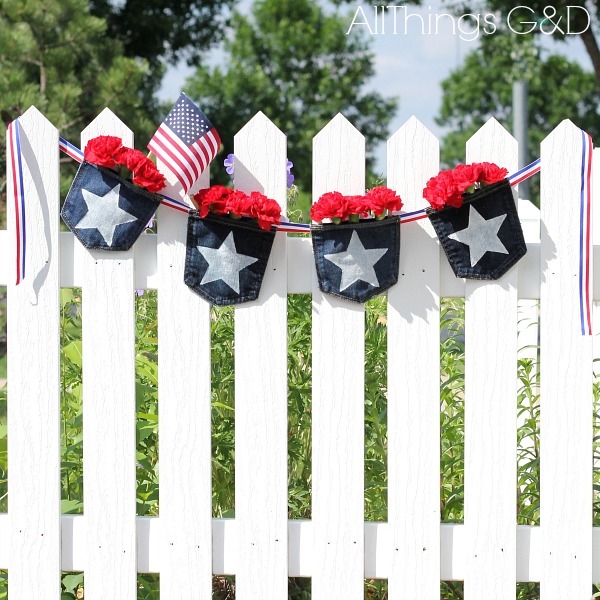 Fill your pockets with flowers and flags for a decorative look, or make them functional for your backyard BBQ and fill them with sunscreen and bug spray, or silverware and condiments! All set for 4th of July! This is really cute! It’s so different that any I’ve seen and it so bright and cheery!